What are some tips for safe summer play? Make drinking water easily accessible for children and staff. Remind all children to drink water while outdoors. Take a water cooler out to the outdoor learning environment. Make cups and water cooler accessible for children to get water when they need it. To avoid throwing away plastic cups every day, each child could have a reusable water bottle with their name on it. Milk and sugared juices and drinks do not rehydrate or quench thirst as well as water. Move outdoor playtime to the early morning when it is generally cooler outdoors. If necessary and possible, overlap outdoor play sessions so all classes can be outdoors during the cooler morning hours. Parachutes. Make temporary forts or drape them over the corner of the fence. A low cost provision can be a lawn sprinkler in the center of a grassy area or suspend a hose with a soft spray head or mister overhead. This will allow both the more active children to chase in and out of the water and the less active children to enjoy it. Many types of colorful, plastic “water guns” or squirt bottles are available and suitable for preschoolers. Children should come prepared with a change of clothes and towel for drying off. See this Green Desk Misting Station post for an affordable water play setting. An anchored fan, secured and out of the children’s reach, can provide a cooling breeze (and also keep mosquitoes away). Homemade popsicles or frozen fruit are great snacks that help to cool off children from the inside out. Fresh fruits, such as watermelon, berries and peaches, have high water content and are quite refreshing served chilled. Find a shady spot to eat the snack midway through the play session. This creates a break in the action and allows the teachers and staff to check in with the children to make sure they are each safely coping with the heat. 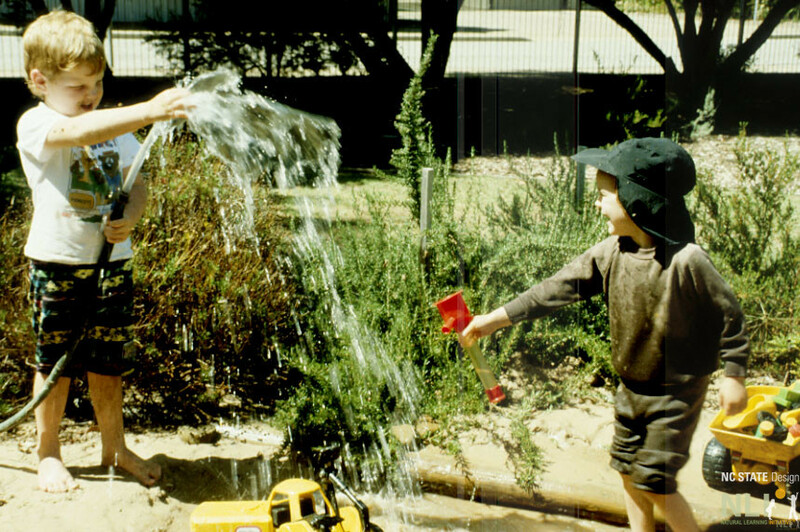 Children enjoy free play with a water hose. Homemade fruit juice popsicles cool children on a hot day at Heron Pond Montessori, Kitty Hawk, NC. 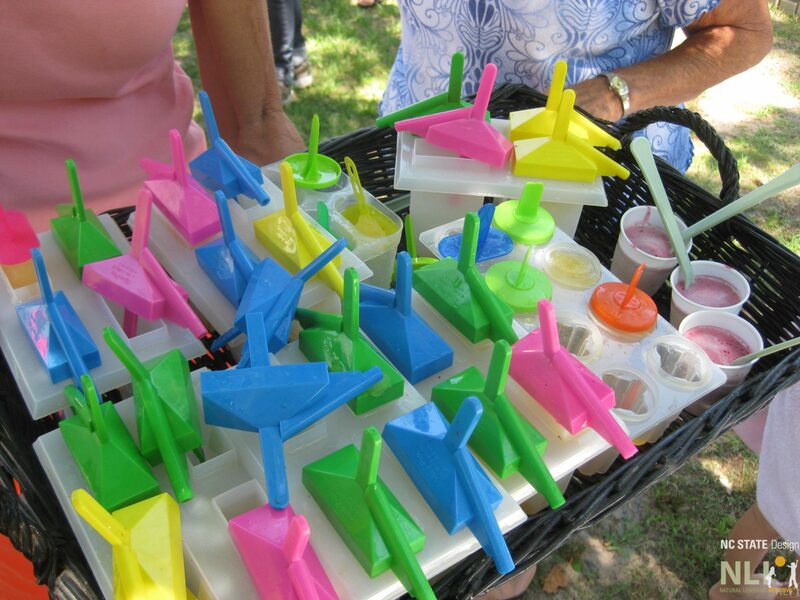 Children enjoy homemade fruit juice popsicles in the shade at Heron Pond Montessori, Kitty Hawk, NC. 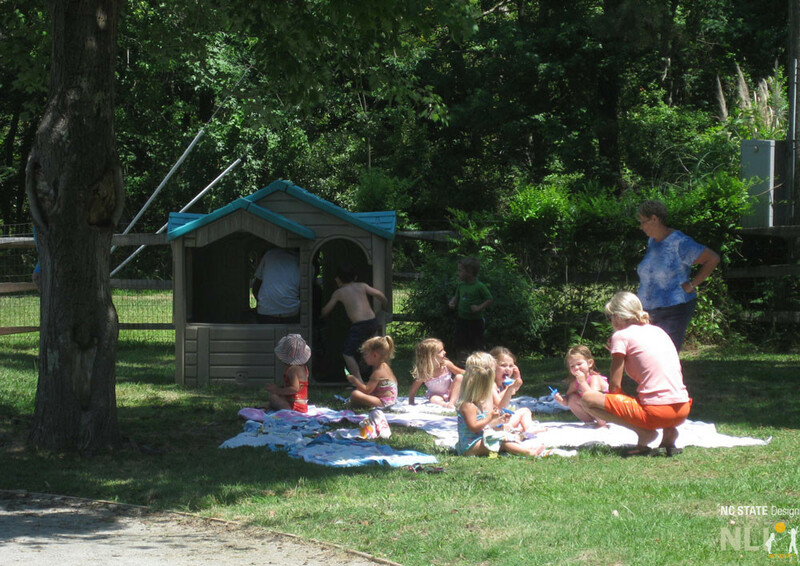 Children enjoy a range of water play, from water guns to full body immersion at Heron Pond Montessori, Kitty Hawk, NC.